Will two all-new models bring first time buyers back to the brand? There is no doubt that lack of product kills showroom traffic and ultimately sales, just ask Mitsubishi and Suzuki. Same is true for unpopular styling changes, like the Scion xB. So much so that the “B” is now in its waning months. Nothing like some new blood to stir the soul of the junior car buyer. 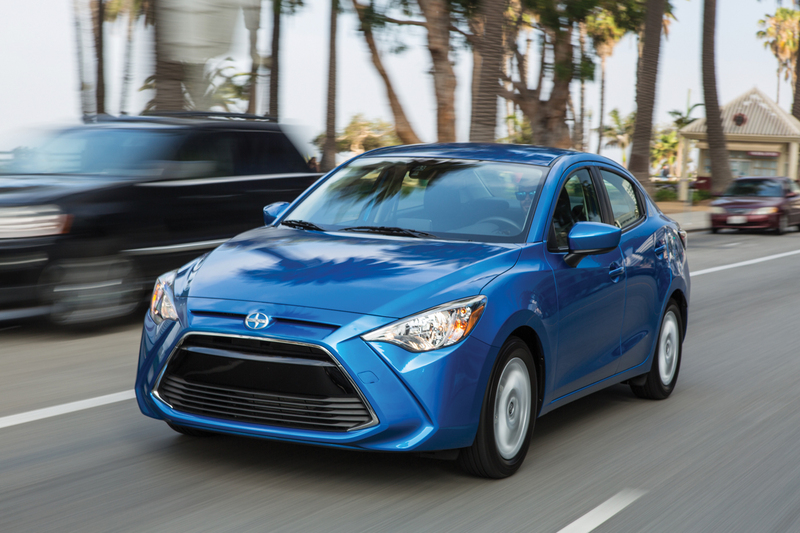 Face it, price sells and the all-new 2016 Scion iA should hit the sweet-spot for the virgin buyer, starting at $15,700. And since all Scion’s have a no hassle, no haggle Pure Price, it leaves somewhat of a happy feeling in your wallet. Our iA presentation included an acknowledgement that the front grille can be polarizing to some, with its catfish- looking open mouth grille. But make no mistake, Scion and mother-ship Toyota do their homework, especially on a new model, so expect the kids to really like the look. Under the hood is a tiny 1.5-liter engine that produces a mere 106 horsepower through a 6-speed manual or automatic transmission. That fuel-sipping combo delivers 33-mpg city and 42-highway. A keyless entry and push-button start are just a couple of the standard features found on all iA’s. Others include Bluetooth, 7-inch touch screen, USB ports, voice recognition, tilt/telescoping steering wheel, cruise control, power windows and door locks AND a low-speed pre-collision system. We’re in. Despite the upturn in the SUV/CUV market, I’m not sure if the kiddos are ready for today’s parent’s preference and it looks like Scion recognizes this too. The alternative? A four-door hatch. No trunk but a cargo area behind the second row of folding seats. 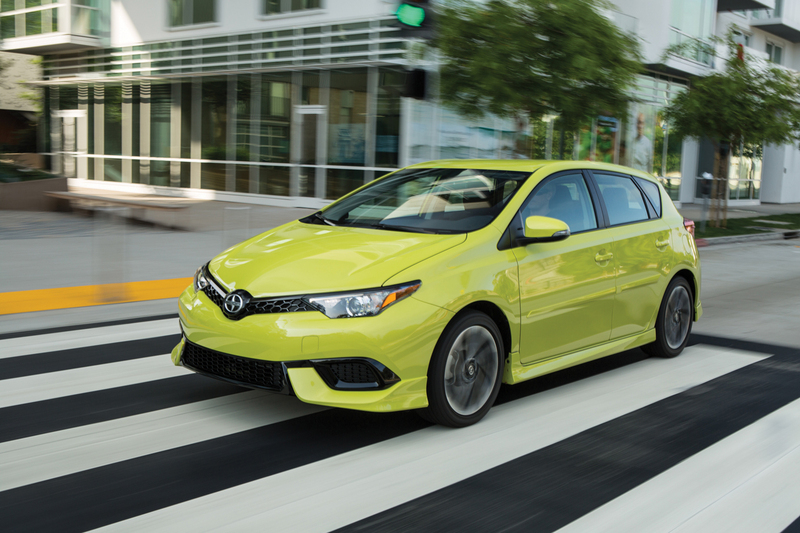 The Scion iM tugs at our heartstrings. Its sleek shape, high-end interior styling, higher horsepower engine and well-suited CVT transmission is the cat’s meow. Power comes from a 1.8-liter motor whirring a perfectly matched 137-horses through a row-it-yourself manual transmission or the aforementioned automatic. The CVT gets 27-MPG city and 36-highway. The dash features an intriguing, colored accent piece that starts just below the climate controls and ends at the passenger door, adding some pop to the well laid-out design. Standard features include a 7-inch Pioneer Display Audio unit, rear camera, 4.2-inch color multi-information driver display and dual-zone a/c control. Starting at $18,460, the iA feels like a mid-twenties ride.